Thanks so much, Pam!! I'll be heading over to check out yours this afternoon!! I'm glad you like my Blog and I appreciate your "Follow"! Thanks, Doreen!! Buy some this year, but grow it after that, save ALOT of money!! I hope you enjoy this Galette! I love it! It is definitely one of my family's faves! Thank you so much, Marty!! So happy to join you! 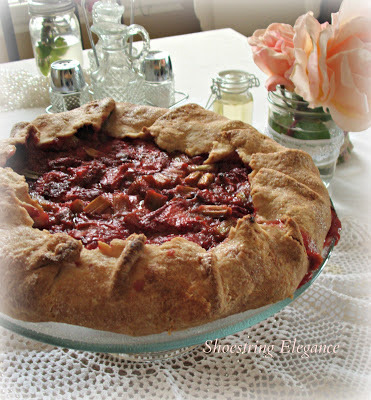 I love what you did with strawberries and rhubarb, I am going to try that..........Thank you for sharing with the Clever Chicks Blog Hop this week; I hope you’ll join us again! I'm so glad, Kathy! read the notes on the following comment reply before you do. This looked so yummy I had to try it! 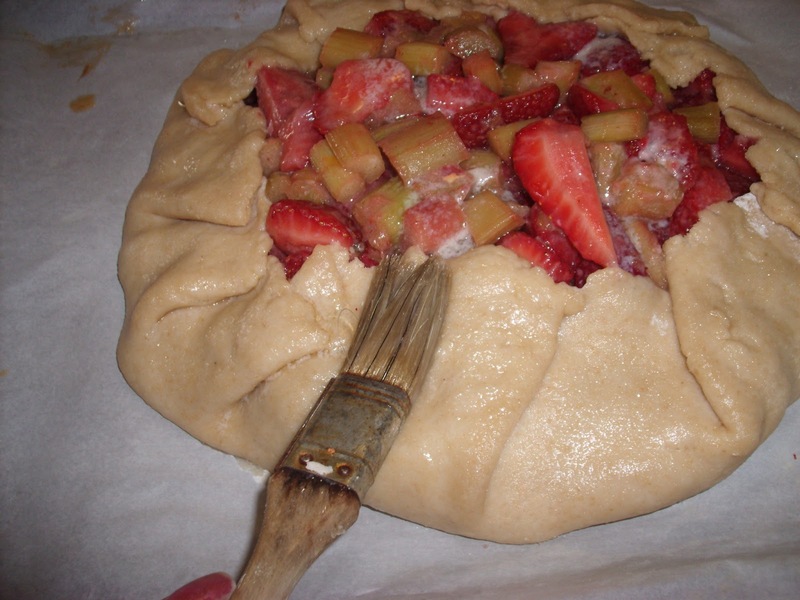 Sadly you did not include the amount of flour to mix in with the fruit or the baking time. :( Juices not only leaked over the side, they ran all over the cookie sheet! It tasted pretty good though! I have made the necessary changes to this post!! Thanks, Loretta~ I am very lucky,but My Mom ,not me grew the rhubarb. I have GOPHERS!! Good luck with your vegi garden!! 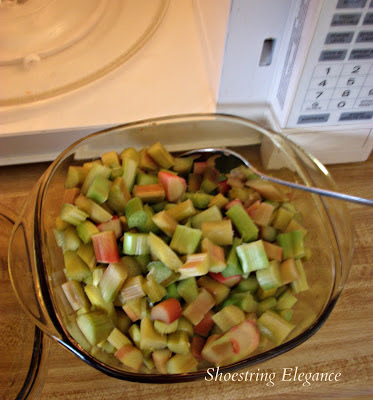 I'm anxious to try your Rhubarb pre cooking trick! Jeannie, If you get nothing else out of this whole recipe, That was the single best discovery for me!!! No worries if you've cooked it long enough anymore!! Just be sure to drain off any liquid and put in the fridge before putting into a filling! Let me know how you do! Thanks Linda!! I do too, as you can tell! Thanks for the comment! So delicious. Love the photographs of real life vs Pinterest or magazine perfection. This is what I love about blogging, connecting with real homes bursting with life. Thanks so much, Marcia!! I'm so pleased you came by and I'm flattered by your kind words. Happy Pinks back to you, See ya next Saturday?! Looks DELICIOUS! 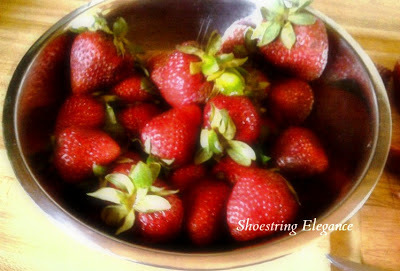 I love strawberries and rhubarb together, and haven't had any this season yet! 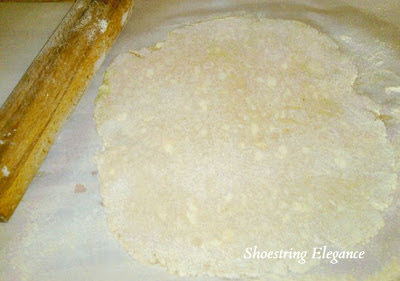 I love making galettes too, I love how easy they are to make and how delicious they are too! Yours looks wonderful! Thank you , Maria!! Since you love all of the above, as do I, I hope you'll try this recipe out...I think you'll really enjoy it! Hi Theresa" I wanted to follow up and let you know I made this and it was yummy! I brought it to a friends for dinner tonight and there were zero leftovers :). Thanks again for stopping by the hop! We appreciate it so much and we hope you've made some friends along the way. Doreen!! I think this is the nicest comment I could ever get (to hear that you, actually made it) pleases me so much!!! I'm glad you and your friends were able to enjoy it!! There is certainly no shortage of friends with fellow bloggers like you, my dear!!! Thanks Charlene! Give it a try!! Thanks for letting me crash your party!! Thanks so much Lindsey!!! I'm so glad you've joined my journey!! I hope you get to try this recipe out this year!! I so need to try and make one too! YUMMY! 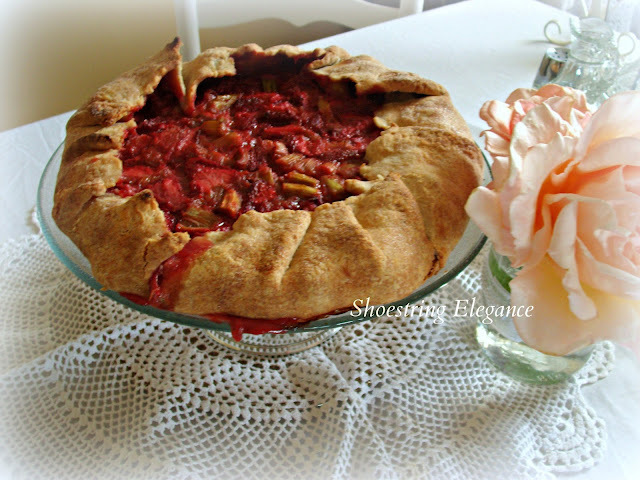 Oh, this galette is beautiful! And thanks for the tip about how long to pre-cook the rhubarb! Thanks for joining us for Let's Get Social Sunday! Joy it is ALWAYS my pleasure! Good Morning Teresa, Thank you for a lovely recipe. Just before I visited you I was looking at another recipe for Galette..... how odd was that.... it must be the season! 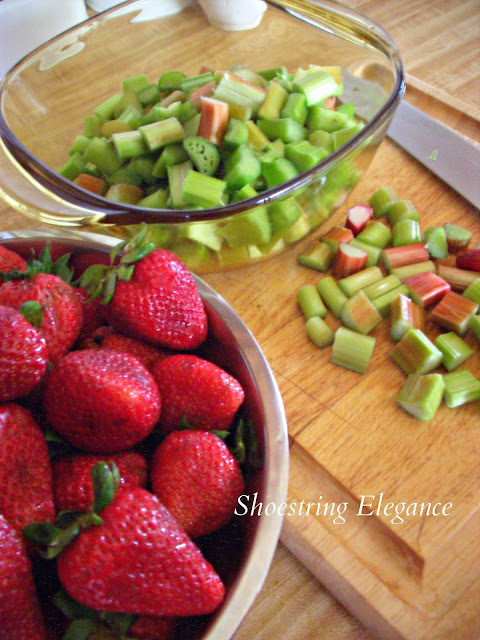 I have never combined rhubarb and strawberries, so this is something new and interesting for me. 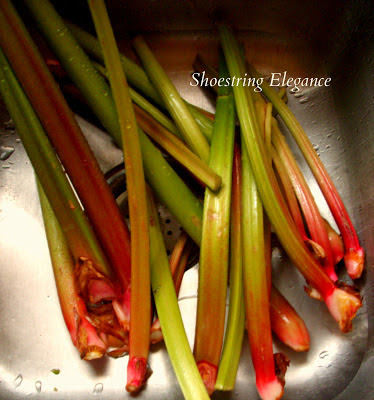 Like yours my family love Galette and I was interested to see that you microwave your rhubarb for a short time. I do not own a microwave, so I will have to cook mine over the stove for a few minutes. I have really enjoyed my visit and I have become a new follower. Daphne, I am so sorry this reply is so late in coming. I'm so glad you found my recipe. I'd love to know how it turned out for you!! This sounds amazing. Thansk tons for linking to Inspire Me. Oh, Marty, Thank you so much for coming by! You are amazing. I do hope you'll give this recipe a try! You will Love it!! Thank so much, Joy!! Baking my 3rd one for the day! They are such a big hit at my house, I'm so glad you like it! Thanks so much for Sharing it with your readers!! Thank you so much, Shari! I'm glad you like it and very grateful that you are going to feature it!! Popping over to your Facebook page! Thank you so much, Tammy! It always looks harder than it is. Truth be told the messier the dough and crust roll out 9 time out of 10 makes the best ones! LOL I don't know why! Give it a try.